Earlier this week Copenhagen Creative Task Force published their recommendations for Copenhagen to retain their position as a leading creative hub in Northern Europe. 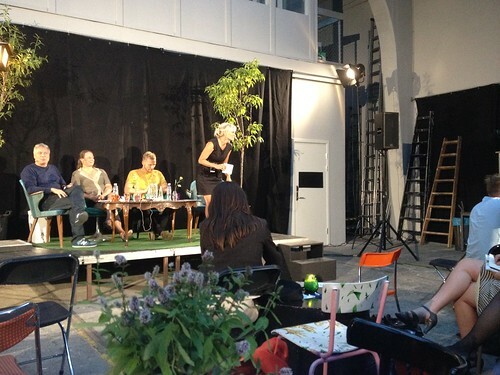 Marketing the city as a green and creative metropolis. The authors estimate that an additional 5,000 jobs can be created in the creative industries in Copenhagen in the coming five years if their recomnnedations are implemented. They stress the importance of working with creative industries across the public, private and NGO sectors in achieving these ambitious goals of sector growth. Looking at the four strands in a little more detail, the first strand draws on the fact that Copenhagen, like many other cities, has a net growth of citizens, which in turn requires additional housing, infrastructure etc. Copenhagen will strive to use creative suppliers for these development and expansion projects. Also procurement is seen as a major lever for making Copenhagen a frontrunner by selecting suppliers from the creative industries. Interestingly, Centre for Local Economic Strategies in Manchester has done some interesting work on procurement and how cities can procure more intelligently. Also, NESTA ran a pilot project in Manchester a couple of years ago called Creative Credits which looked at stimulating product innovation by using creative companies as suppliers. The research showed that companies which do this are 25% more likely to introduce product innovations. The second strand focuses on seven concrete inititives to improve the conditions for business development and address some of the existing short comings. The main recommendation is to create a beacon – or flagship – district in the old meat packing district of the city in order to create an opportunity for shared services and synergies to arise. The hope is that this will drive growth in smaller hubs across the city. While this is laudable and might work for many, I personally think that there needs to remain support and opportunity in other places too and for these shared services to crop up where and when they are needed. In the 21st century it is a fallacy to anchor things too tightly to physical locations. In addition to the physcial location of the meat packing district, there is also focus on specialising in Art & Technology as a theme and seemingly a strong focus on music as a sector. The third strand focuses very much on events in the creative industries like Copenhagen Fashion Week, the documentary film festival CPH:DOX and the culinary festival Copenhagen Cooking. Interestingly, a throughgoing these is to interweave sustainability agenda across events. Copenhagen has ambitious goals for sustainability and these will be incorporated in the running of events. The fourth and final strand looks at marketing of Copenhagen’s creative industries. The main thing here is that Copenhagen plans to open an office in Beijing to market Copenhagen as a creative and sustainable capital. Overall this is an excellent report with many good points, which I am sure will contribute to creative industries development in the Danish capital. The complete report is available in Danish here. How do we ensure that content creators and creatives are rewarded adequately in a digital age? The Danish Ministry for Culture recently hosted a very topical and interesting debate on digital distribution and intellectual property rights in their series of talks named Kultur på kanten (Culture on the Edge). When we talk about digital in relation to creative industries and the arts it is useful to distinguish between whether digital is an end in itself or just means to an end. Minister for Culture, Uffe Elbæk, said very clearly that for him the debate around digital is not in any way a debate about artists giving up their intellectual property rights to their work. The whole debate seems more around revisiting the ways in which creatives distribute their work and how they are paid royalties for their work. One example of this is traditional hard copy library books which only circulate in a limited number of copies for a certain work. With the introduction of digital ebooks, libraries could potentially lend out umlimited copies of each book with the result that their budgets would be overspent if a system is not in place to monitor and control the spend. Some artists in the audience were very sceptical of stories in the media of how artists on music streaming services are only paid a fraction of what they are used to and clearly some of the business models need to be fine-tuned. However, it is very clear that the internet has kicked off a revolution in how we consume creative content but as one author assured us stories have existed thousands of years before Guthenberg and will also exist in the new digital medium – the task now is to assure that the right people are being rewarded for their work. Digital will in some ways cut out the middle man – big record companies are no longer gatekeepers between bands and their audience. We need to adapt business models. I think that this is a welcome opportunity and I am also quite sure that there will be room for anyone who adds true value to a product or experience along the value chain. Finally, how should we reward artists and creatives who decide to create in the digital medium as a way of working. That I think probably deserves its own blog post one day. Is Localism the Silver Bullet? The theme for this year’s CLES summit (full disclosure: I am a board member at CLES – the Centre for Local Economic Strategies in Manchester) was Localism – picking up on a very current trend from localism act over local enterprise partnerships to city deals and the wider debate on Big Society. In his introductory remarks for the summit CEO Neil McInroy advocated for a localism that helps real people – a result-oriented focus rather than a process perspective. As Neil said, this localism would be charactereised by being progressive, sustainable and just. There are some obstacles to getting to this point and as one of the next speakers, Simon Parker, argued wicked problems such as climate change are a massive barrier to localism as they with their imminence usurup the agenda and introduce centralist conform norms which drive these high prority issues. The leader of Rochdale, Colin Lambert, raised a a point about how the collective should control the development and delivery of public services which led to an interesting debate about whether this is not what we are already asking politicians to do through elected representatives. For me Chris Murray from Core Cities neatly summed up what the localism conundrum is about by defining it as the clear demarcation between the national and the local – thus giving localism a strong framework to position itself against. The nation-state is still the strongest framework for policymaking but maybe the new focus on localism is a way of addressing how we best solve society issues at the appropriate level – personally I think this is the key question for unlocking the localism conundrum. A tale of two cities pursuing the European Capital of Culture title. Earlier this week, two Danish cities submitted their applications to become European Capital of Culture in 2017. The decision on the winner will take place in August this year but what are in the bids? The central theme of the Aarhus bid is Rethink. The Rethink theme has been conceived against the backdrop of crisis affecting the whole of Europe. The Aarhus bid offers to work as a laboratory for rethinking models for societies in the whole of Europe using art and culture. At the same time as the final application was submitted, Aarhus launched a programme of events where 10 cultural institutions will be rethought completely over the coming years. The key theme of the Sønderborg bid is countryside metropolis. The theme focuses on the hidden gems which bigger metropolises overlook in the smaller and rural and in the application talk about a “metropolitan mindset in rural environment”. There seems to be a strong focus on looking at how rural areas in new ways can contribute to our societies. It is clear that a lot of work has gone into both bids and they are both strong bids. On the face of it Aarhus seems to reach more out to the European dimension with the intention to work as a laboratory for the whole continent. 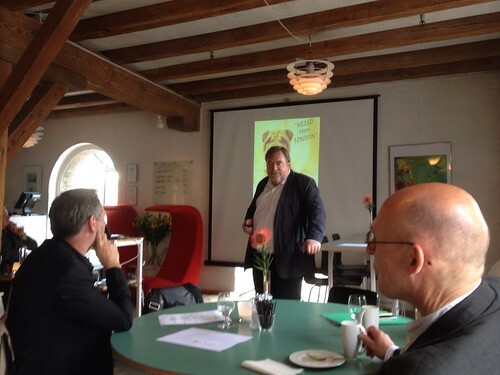 Bordering to Germany, Sønderborg has good material in their application about cross border collaboration. It will be interesting to see what the verdict is come August but it looks like a close race. You can read the full applications for the Aarhus bid here and for the Sønderborg bid here. Is it an oxymoron to talk about authenticity in relation to an urban environment? Or can our man-made abodes be understood as having an essence which they can fulfill or defy? An insightful point about the authentic city is that there is a hunger for the authentic city but, paradoxically, the more we long for the authentic city this hunger kills off the authenticity. As Sharon Zukin explained in her presentation at the Metropolis Laboratory 2012 in Copenhagen earlier today, the very pressure for our demands exert a constant pressure on the possibility for the city to be authentic. Sense of place and time. Preserve the city’s multiple identities. Zukin summarised authenticity as “the city we love and the city which we want to remain the same”. 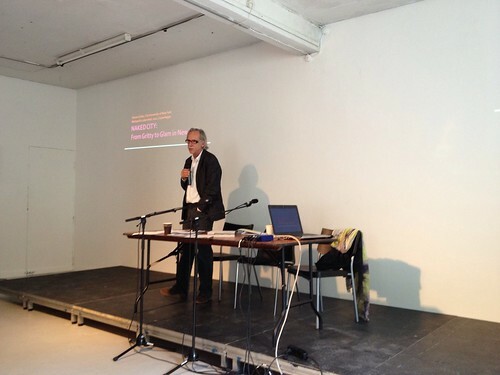 Imanuel Schipper asked some useful questions which may help the question around authenticity by questioning whether the city is a performance in itself? Also it might be worth considering whether the city has a memory and whether theatre – or more generally culture – can articulate this memory. Sharon Zukin similarly said that authenticity ultimately is an experience created by people for themselves. She also admitted that authenticity has within it very contradictory meanings but it may still be a useful term to keep developing the best cites for us as citizens. I think it can help us keep our aspirations and not be too complacent. Sharon Zukin has recently published the book The Naked City where she elaborates more on this subject. This morning I noticed that the Australian state New South Wales have set up a taskforce for growth in the creative industries. Similarly, last week the mayor of Copenhagen in Denmark set up a creative industries task force too, Copenhagen Creative Task Force. It is great to see this kind of support for creative industries but there are at least two worries with these initiatives from my perspective. Firstly, they seem to focus solely on economic growth and not consider the side effects of the creative industries. I think it is so important in these times we begin to look at whether there are other types of values which we should create – and indeed the creative industries can create – like social value or aesthetic value. There are a number of creative entrepreneurs like Livity in the UK that focus intrinsically on the social value. It is a great shame if these are not recognised as they can save these very same local governments significant amounts of tax money on other budgets. Secondly, and related in some ways, they do not seem to address the wider question of whether we want to keep growing economies. I am reminded by the economist Umair Haque’s thoughts on GDP as a obsolete way of measuring our wealth. Umair Haque talks about building an economy which makes people’s lives better in real human terms. So while both are very worthy initiatives they might benefit from a more nuanced perception of the creative industries as a cash cow just waiting to be milked. If you are interested in Umair Haque’s thinking a good place to start is his 20 minute presentation for the Rebuild21 conference which can be watched here. Later this year (3-5 October) the World Architecture Festival (WAF) will take place in Singapore. The director of the festival, Paul Finch, has just visited Copenhagen to promote the festival to Danish architects and also to encourage them to submit their work to the competition. Paul Finch began his presentation by reflecting on the architecture of London, the city where he is based. He posed the key question, whether you can combine history and modernity in architecture and in cities and quickly answered this affirmatively. 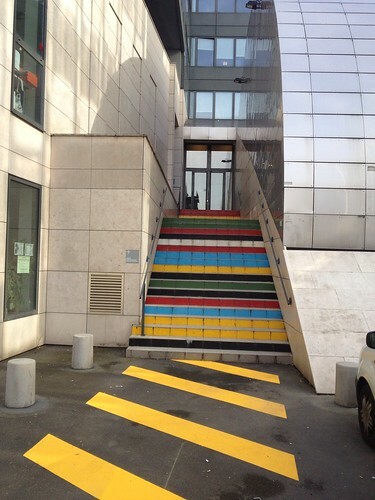 You have to innovate and build new in cities, but with respect for the existing buildings. Cities are not static entities which you can just sit and watch. With these musings on architecture and its’ role Paul Finch moved on to explain why we need events like the WAF. The WAF was partly born out of the realisation that architects will attend big events with the real estate sector. By setting up the festival Paul and his team has given architects globally a unique opportunity to attend a big event where the architects and architecture is the focal point, rather than real estate. Approximately 1500 people attend the event every year. In respect for all the hard work that has gone into the competition entries, the organisers make an effort of ensuring that every entry gets exhibited and is archived online. All shortlisted entries will get the chance to present their work to a jury. In addition to the architecture competition, WAF offers a rich seminar programme. The programme has a wider focus than merely buildings, brick and mortar. It also discusses more widely urbanisation and the consequences of it. Mitigation of urbanism and pre-empted design are key terms in many of the presentations. A former participant, Kim Nielsen from the Danish architecture firm 3XN, subsequently told the attendees how rewarding the participation in WAF has been for him personally and professionally. The WAF has made the architectural world smaller because it gives architects a better understanding of what goes on around the worked. Finally the director of the Danish Architecture Centre, Kent Martinussen, rounded off the event by talking about how appropriate Singapore is as the location of this year’s event. Singapore has in the recent years succeeeded in becoming the design and architecture hub of Asia. He also stressed that Paul Finch, a journalist by trade, has influenced architecture much more than many architects. This is no mean feat. To find out more about this year’s exhibition and how to enter the competition read here. 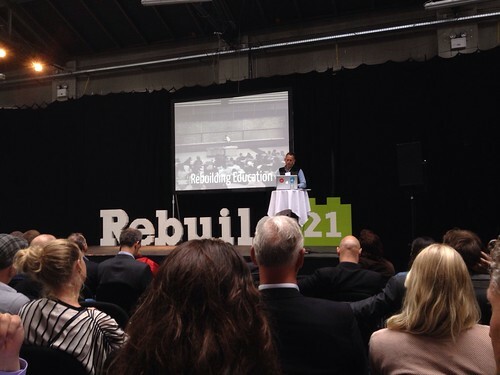 Day 2 of Rebuild21 focused on rebuilding education and rethinking business. Never stop making – we learn from our mistakes – we learn by making. You can only be a beginner once – so make the most of it every time you try something for the first time. You will either learn something – or teach someone else something. Make something cool every day and make sure you post it somewhere for others to react on. Jerry Michalski gave an excellent presentation on the education system and distilled some excellent points about the current state of affairs. The first one was how schools are in a strange way separate to life – we leave our everyday lives to go to a separate space to learn. The school system builds on an antiquated ideology with military connotations which might have been useful in a production society but are outdated in a knowledge society. Jerry shared the notion of the “flipped classroom” where students watch prerecorded lessons – like Khan Academy – at home and focus on doing homework in class. The final point was that we have removed the sense of agency from everyone, pupils, parents and teachers, in education. We need to give kids back the sense of permission and to heal their curiosity. You can find the Prezi with Jerry’s presentation here. Word of mouth marketing has always been the priority method of spreading the message. Social media has merely been a way to extend this philosophy. And finally but not least build trust within the organisation. You can’t really do amazing things on your own. Limited organisations need to become unlimited. Establish mechanisms and processes which motivate people. There is no substitute for a clear purpose. Put purpose ahead of profit. The event started off with the rebuilding finance theme and a number of prominent speakers gave their take on the financial crisis and what they think we should do. 1) Richard Kelly from IDEO in Shanghai talked about how the financial crisis should be seen as a crisis of values more generally. Financial services have been cut off from the real world and we may need to look at how to innovate in financial services again. 3) Umair Haque suggested that we are facing an institutional breakdown in our societies and economies. A key reason for this malfunction is oppulence: people have for too long wanted to have more, bigger, faster and cheaper commodities and our institutions have been geared to fulfil this desire. To address the issue we need to develop a new model of prosperity which Haque calls (Eudaimonia). This can be defined as a richer conception of prosperity where relationships matter and where a rich civic life is valued – we need to reimagine what wealth is. Part of this is also reconsidering whether GDP is an appropriate way to measure success in our economy. All three presenters mentioned above seem to agree that the current financial system has been severed from the real world and will need to get back on course to service society rather than vice versa. I hope to return to the remaining presentations in more detail soon but wanted to share these ideas straight away. 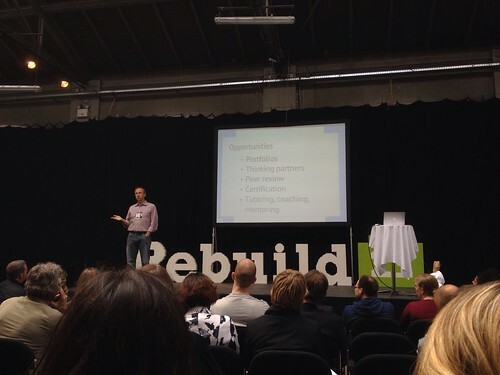 You can find a a copy of the full programme from Rebuild21 here. The Hansard report on how to support cultural and creative industries in Northern Ireland is out. I think the following points might be of interest to any place that wants to thrive in the creative and cultural economy. *Graduates need to have the opportunity to be mentored, because although they obviously have creative skills, their business skills are significantly underdeveloped. So, it is about matching creative talent and business acumen. * Highly educated but low-paid sector. It is almost completely unsupported, with no professional body. No-one to voice interests of sector. * Currently there is a lack of transparency and coherence in policy as CI is spread across several departments with no clear ownership.